Thinking to start walking or jogging soon, but don't know where to start. Which is exercise is best for you. The secrets behind being able to trim down fat and loose weight the safe way. Start the season off right, ready to show off the new you. Who said you need to go to the gym and pay expensive monthly fees to get fit? The answer you are looking for may be right in your back yard. 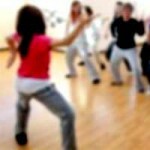 Inexpensive aerobic exercises that you can do just about anywhere and anytime, such as walking and jogging, are easy to incorporated into any diet and exercise program. Whether you are someone just getting off the couch or just ready to make a healthy lifestyle change, starting off can feel intimidating at first. That's why it's never bad idea to start off with the basics. In this column, we are going to take a look at the two very basic, but effective fat-burning aerobic exercises, walking and jogging, hopping that between the two, you can decide which is best for you. Ready-Set... Go! Let’s compare walking and jogging in terms of exercise and health benefits. Note that walking and jogging in this case assumes a pace of 3.7-6 km (about 3 1/2 miles) and 7 km (4 1/2 miles) per hour, respectfully. The amount of calories burned is that of a person 50 kg (110 lbs) in weight. What if you are just looking to get started? For beginners or those of us that don't have our exercise schedule broken down just yet, lacking exercise, walking might be the right thing to get you started. After you're done chewing on that, breaking into jogging might not be a bad idea at all. However, don't push yourself to much while jogging. There is a potential chance that overdoing it can lead to you getting hurt or having an accident, not only making it harder to continue in the long run. Which exercise allows you to burn off more fat? Walking and jogging are both excellent fat burning aerobic exercises. However, in the later case, those not yet use to jogging yet are prone to overdoing it, actually starting to run faster than necessary, which turns into more of an anaerobic exercise. 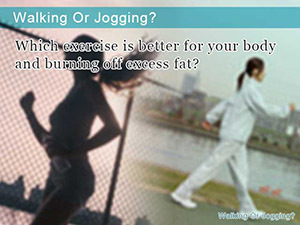 In this case, it would be more benefit to walk instead, until jogging can be done at an aerobic level. 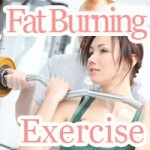 It's said to take as much as 15-20 minutes till fat burning begins to take place after starting to exercise. This means it becomes necessary that you be able to carry out exercise for at least this amount to really appreciate the fat-burning benefits of the exercise. Practically speaking, you want to continue to exercise in this manner for at least 30 minutes to get the best results. This is why that if you have not yet acclimated yourself to jogging (aerobically), continuing to exercise for long periods of time may be a problem. In addition to not being able to get the results you want because of the demands jogging has on your body, the longer you continue to strain yourself running, the more likely you are likely to get injured or have an accident. This is why it might be a good idea to start by walking and gradually increase your pace until you are jogging. Giving your body time to make the transition from walking to jogging is not only safe, but allows you to stay within aerobic level of exercise, maximizing on exercise to fat burning opportunity. Which exercise is better for boosting your metabolism? Both exercises, walking and jogging, have the effect of stimulating muscle activity which in tern leads to an increase muscle mass. By increasing your muscle mass, your basal metabolic rate (BMR) increases as well. This increases the amount of calories you burn daily, promoting enhanced fat-burning and weight loss. However, walking the way you usually do won't cut it. In order to see the results you are looking for, keep in mind that you are exercising and should adjust you pace accordingly. The pace you should be looking for is faster than normal, but not so fast that you start to feel like you're going to need to take a break. Finding the right pace is just as important as the exercise itself. Along with pacing yourself, it's also important to pay attention to your form. This too greatly affects what you get out of your exercise. Finding the balance between speed and form is the key to begin transition from walking to jogging. When combining exercise into your diet program, it's important to always specify the amount and duration (i.e. 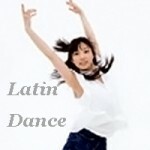 30 minutes or more) of your exercise and keep to it. If you find that you are out of breath, you may be going overboard. At this point, you might consider taking things down a notch. Diet and exercise is not effective unless you can get through it. That is why it is better to always set yourself up for success when just getting started out. This way there is no pressure to fail and you never know it could be fun for a change. Although this column focused on splitting the two apart, perhaps making you choose between one or another, combining walking and jogging in succession is also effective. Which exercise is better for your body and burning off excess fat? 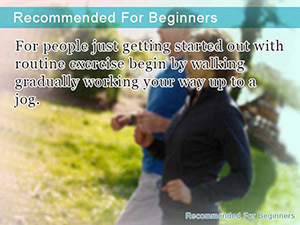 For people just getting started out with routine exercise begin by walking gradually working your way up to a jog. 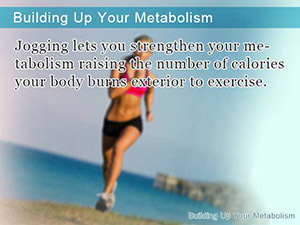 Jogging lets you strengthen your metabolism raising the number of calories your body burns exterior to exercise.